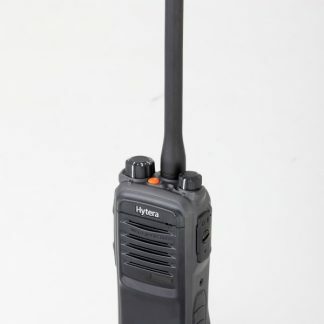 Environmental protection to IP68 (2 Meters for 4 hours) All DX400 Series radios enjoy an IP68 (2 Meters for 4 hours) rated construction, which means that they are dust protected and fully Submersible (even with the accessory cover removed). MILSTD 810C/D/E/F/G Meeting MIL-STD 810C/D/E/F/G and providing commercial grade construction for tough, enduring performance. Entel’s DX400 Series radios conform to stringent standards, enabling them to withstand the everyday rigours of shock, vibration and the corrosive effects of dust and moisture, ensuring many years of trouble free use. Robust accessory socket DX400 radios accessory socket has been specifically designed so that when an accessory is secured to the portable, the connection can withstand any amount of punishment; from dropping to careless misuse. 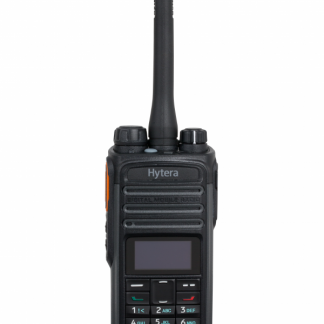 DX400 radios retain their IP68 rating even when the accessory cover is removed. High contrast white on black OLED display DX400 display models benefit from a high contrast white on black OLED display that delivers superior readability in varying light conditions adding to the DX400’s intuitive user interface. Channels / Zones DX485 portables provide 64 programmable channels & 8 programmable Zones. Li-Ion battery technology & improved talk time DX400 radios are supplied with the latest intelligent Lithium-Ion battery technology as standard. One key advantage of Lithium-Ion battery technology is the way it eliminates ‘memory effect’, meaning that there is no need to fully discharge your battery before recharging. As a result of this, you are assured of a full charge each and every time you take your Entel battery from its charger. 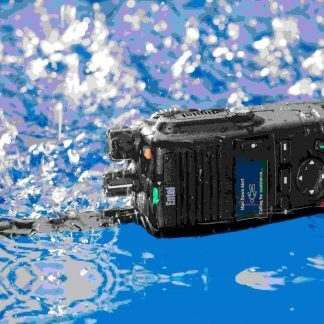 DX400 radios also benefit from TDMA Digital mode signalling that increases battery endurance by up-to 40% ensuring longer standby / talk times. Field upgradeable to add future features Entel adds and improves features on its DX400 radios by way of free software updates. 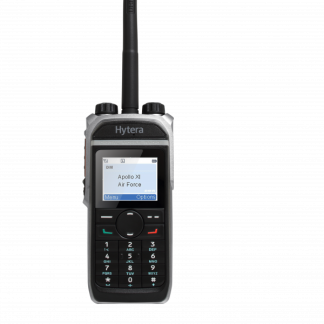 Using Entel’s innovative End User Programmer app Entel DX400 radios can be easily upgraded without the Dealer having to visit site or courier the radios back and forth saving significant time and expense. The DMR Digital standard splits a single 12.5Khz Analogue channel into two separate channels therefore doubling the number of channels available to the radio user. Two-Slot operation is normally only possible when a DMR Repeater is included in the system. However Entel DMR radios overcome this restriction on both Simplex & DMR446 channels so both channels (slots) are always available to the user no matter the channel type. In Mixed Mode operation the radio can receive both DMR Digital & Analogue modes without the user having to change channel. 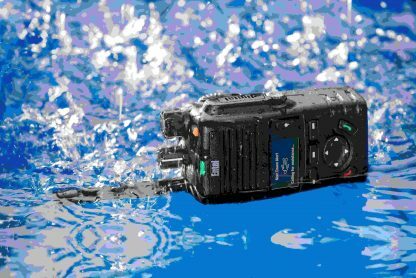 Mixed Mode is beneficial where both Analogue & Digital radios are being used together, e.g. where a customer is migrating from an existing Analogue radio system to a DMR Digital radio system. Keylock To avoid accidental operation, your radio’s keys & controls can be locked. Programmable channel monitor button If you have channel protection enabled on your DX400 portable, all signals other than your own networks will be filtered out. This can be temporarily disabled allowing you to monitor all signals on your channel. Individual, Group Calling & Caller ID Entel’s DX400 models provide both Individual and Group calling which can be selected via the channel control and, on display models, the radio’s large contact list. Display models can also display the callers ID. 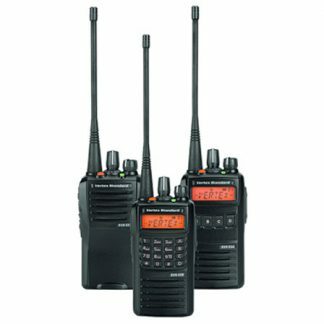 Privacy DX400 portables provide enhanced privacy as standard therefore providing additional protection compared to Analogue radios. Personal Attack Button All Licensed DX400 portables include a programmable personal attack button. Once activated, the radio will send an alarm call to other radio(s) as well as sounding a local alarm. Lone-Worker & Man-Down Alarms Entel’s Licensed DX400 portables are designed to protect lone workers. The radios Lone-Worker timer checks the radios user is OK; if no response is received, the radio will automatically send an alarm call to other radio(s). The local alarm additionally alerts non-radio users in the vicinity to the emergency. Should someone fall and become unconscious, the optional Man-Down sensor can automatically send an alarm.